Studio Stockholm Arkitektur have been commissioned to design EQT Venture’s new office at Blasieholmen in Stockholm. EQT Ventures is part of EQT and have now moved into their premises where the sense of innovation and start-ups is merged with EQT’s stability. “EQT Ventures is an exciting initiative that has quickly established itself as a main contender on the global start-up investor scene. Visitors are usually young entrepreneurs who are at the start of a promising company. Our concept is based on creating a intimate and personal connection with its visitors. Upon entering you therefore come straight into the lounge where you can meet employees at EQT Ventures who sit on the couch and work as well as where visitors get a freshly made coffee directly in their hand, made by the employees at EQT”, says Marco Checchi, a partner at Studio Stockholm Arkitektur. Studio Stockholm is now also designing EQT’s new office in Urban Escape, which is estimated to be ready in the spring 2019. 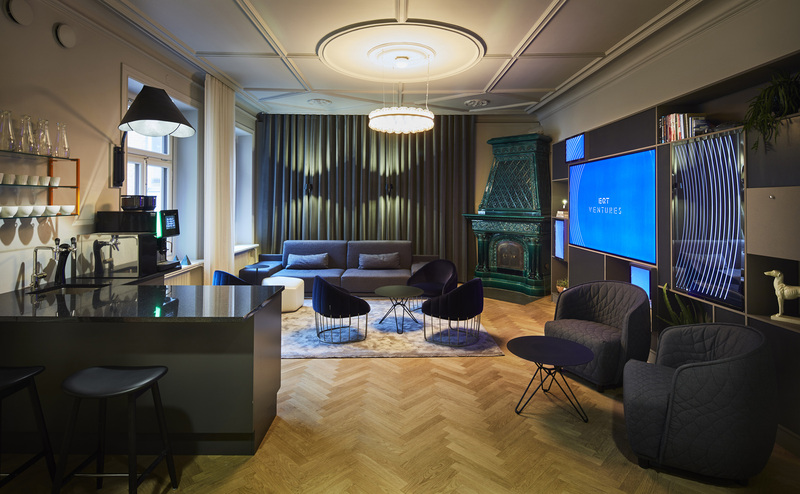 “Studio Stockholm has brilliantly created an environment that defuses the high level of stress and nervousness often associated with meeting an investor. The team has captured the progressive and personal aspects of EQT Ventures without renouncing the link to the rest of EQT”, says Ted Persson, Design Partner at EQT Ventures. EQT started 1994 in Sweden and is today a leading alternative investment company. EQT has around 450 employees globally and offices in Europe, Asia and North America. EQT invests in companies worldwide with the strategy of creating stable and sustainable growth.